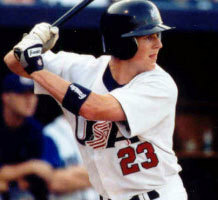 John Fisher wrote an interesting article about the USA competing in the World Baseball Classic. I would like to share with you today what he had to say. 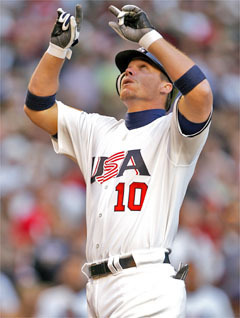 Fisher: Watching Team USA lose to Canada and Korea in this first ever World Baseball Classic is a humbling experience for any American baseball fan that is paying any attention. And not too many are. For many, these games are a spring training distraction. Nothing to pay much attention to. After all, who invented this game and played it for the last hundred years? Nothing could be better for America than to be humbled on an international stage playing our own game. And the enthusiasm of these other teams is also a lesson. I noticed a lot of empty seats for the USA vs. Korea game, but try finding one empty seat when Korea played Japan . These countries are excited about this sport, and they are showing they can more than hold their own against anyone. Depending on the results of other games, Team USA could be out of this thing by the time you read this. Hopefully the American players will discover that humility is a virtue and not try and simply cover up these loses with excuses. And this is a good lesson for us all. Whatever we think we have accomplished, we can never sit back on our laurels. Even spiritual highs need to be tempered with reality. The disciples were always arguing over who would be greatest in the kingdom of God and who would get to sit next to Jesus in heaven. Jesus responded by reminding them that they were all servants, and it is always for servants to take the lower place. If God wants to usher us to a higher place, that's up to Him. Our place is last place. That's what we should choose, and in so doing, lift up all those who are ahead of us. We all will experience loss sometime, whether it's a job, a position or a relationship, and how we handle it will be a good test of whether we really believe God has a purpose for us or not. If He does, then these losses are not really losses in His book. They are opportunities to learn what we couldn't learn any other way, or in some cases, time shows us that through losing, He was actually protecting us from something worse that we didn't see coming. Whether or not Americans pour praise on the teams that beat them and in so doing serve something bigger than their own egos and million dollar contracts remains to be seen, but we can learn something. There is a gracious way to take last place by serving God and complimenting those in front of you. For America to do that would be very good for baseball, and America's image in the world. For us to do that would be good for our souls and the Kingdom of God.